A Maryland man was recently arrested for selling marijuana and other drugs from his ice cream truck according to police in Charles County. The alleged Maryland drug dealer was arrested based on a tip from Crime Solvers. The tip apparently informed police that the 20 year old man had been illegally selling packets of marijuana while at the same time legally selling frozen treats in southern Maryland neighborhoods. Police responded to the tip and sent a investigative unit to attempt to observe the ice cream drug dealer in action. Police investigative units apparently were not able to catch the Maryland man actually performing a hand to hand transaction with a would be marijuana buyer, but they were able to secure an arrest with the help of a canine police unit. Police initiated the arrest by conducting a traffic stop on the ice cream truck. After pulling over the ice cream truck, police called for a canine unit in order to effectuate a drug sniff. The canine drug sniffer alerted police to the presence of marijuana within the truck, thus giving the southern Maryland police officers probable cause to conduct a search of the area in question. Cops were able to locate baggies of marijuana packaged for sale from within the truck, as well as on the person of the Maryland man. Police also discovered a large amount of cash in the truck that was stored separately from the ice cream proceeds. 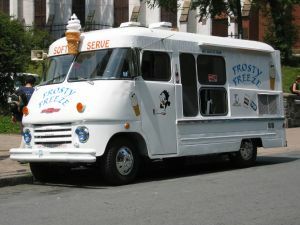 The ice cream truck traffic stop turned marijuana bust brings up two important legal issues that criminal defense lawyers have dealing with for years. The first issue is the way in which officers made contact with the ice cream truck drug dealer. It is clearly not a confidence that the very ice cream truck that was under investigation had committed a traffic stop that resulted in a search and seizure. The southern Maryland police department responsible for the arrest did not immediately release the details of the traffic stop, but it was most likely for some minor infraction, assuming there was any infraction at all. The police were most likely following the truck and waiting for the first opportunity to flash their lights and conduct a traffic stop not just to issue a traffic ticket, but with the full intention of conducting a search. This is what lawyers refer to a pre textual stop, and under the Constitution, these types of stops are legal. As long as police have reasonable suspicion to initiate a traffic stop, their actual intentions of making a drug arrest are irrelevant. The second legal issue is whether police were justified in deploying a canine drug sniffer in order to aid the investigation. Again this is a constitutional issue that criminal defense lawyers have debated for years. Police are permitted to deploy a canine drug sniffer to the scene of a traffic stop as long as the drug sniffing dog arrives at the scene in a reasonable amount of time. Police are not allowed to seize and individual for longer that it would normally take to issue traffic tickets without further probable cause. If the drug sniffing dog arrived right away, police may legally walk the dog around the car in hopes of getting a hit on a certain area. In this case the dog made a marijuana hit on the driver of the car, as well as the car itself, thus giving police the knowledge needed to conduct a search and eventual seizure. As with any traffic stop drug arrest, the facts must be thoroughly examined by a criminal defense lawyer to determine if a legal motion to suppress may be filed. 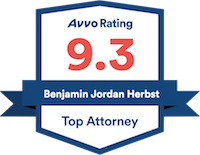 Benjamin Herbst is a Maryland criminal lawyer that specializes in marijuana and cocaine sale arrests. If you or someone you know has been arrested for possession of marijuana or sale of marijuana contact the Maryland criminal defense lawyers of The Herbst Firm for a free consultation. Waldorf Man Arrested For Selling Drugs From Ice Cream Truck, myfoxdc.com, April 10, 2012.